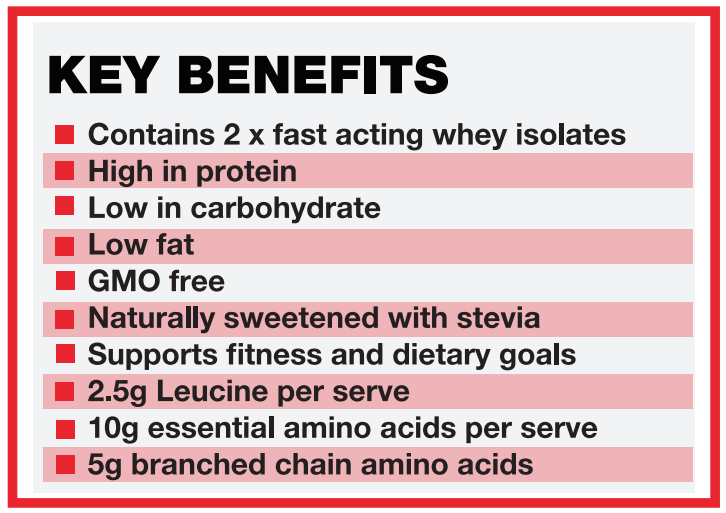 Body Science have done it again ... a new and improved whey protein isolate that delivers pure, clean protein to maximise performance and recovery. 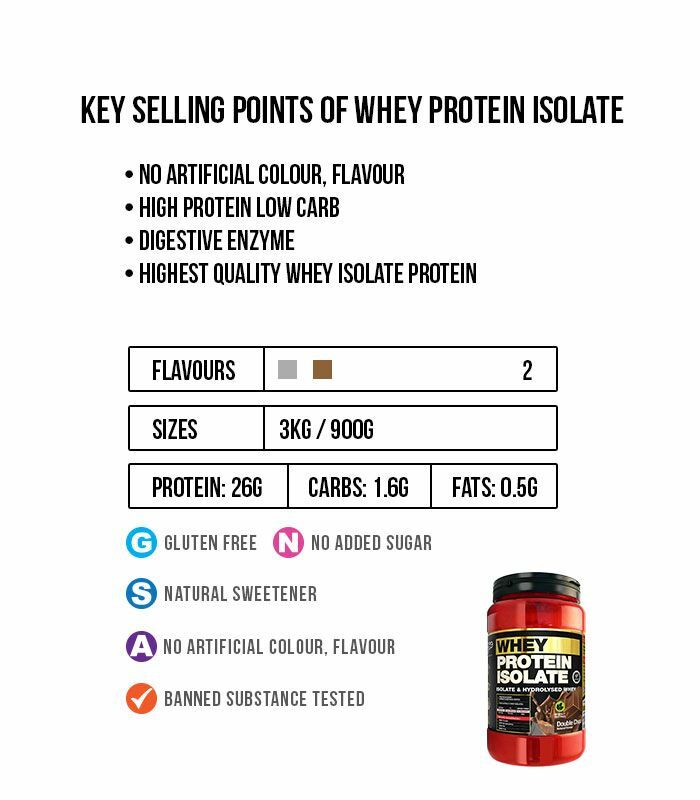 Body Science WPI delivers over 26g protein per serve from the rapidly absorbing protein sources whey protein isolate and hydrolysed whey protein isolate. 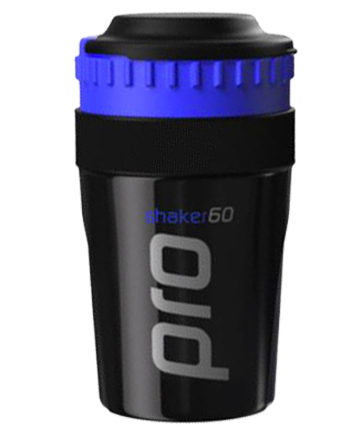 These rapid release proteins are absorbed into the bloodstream almost immediately and increase amino acid concentration, thus stimulating protein synthesis and the recovery process1. Body Science WPI delivers a complete amino acid profile, and so is rich in essential amino acids including over 5g of branched chain amino acids per serve. Also containing bromelains to support digestion and absorption. Bromelains is a proteolytic enzyme found in the core of the pineapple, and has the ability to break peptide bonds, easing some of our digestive burden2. BSc WPI really puts the focus on what counts—digestion and absorption. After all, we can bucket-load the protein in every hour, but if we are not digesting and absorbing the amino acids, liberated from the complex protein molecules, then we are going to end up with some digestive issues and a blood amino acid concentration that does not neceesarily match our intake. Body Science have done the smart thing—added natural pineapple-extraced bromelains to facilitate protein digestion and also added some pre-digested protein called hydrolised whey protein isolate. Hydrolysis is simply the breaking of peptide bonds, which are what join amino acids together, making proteins. This means we needs less of our own proteolytic digestive enzyme—proteases and pepsins—and less hydrlochloric acid, in order to liberate amino acids from the protein structure. And even though whey protein isolate is considered a rapidly digestible protein, and probably one of the easiest to digest, we still do have to digest it. Body Science WPI takes out some of the digestive and absorptive "guess work", ensuring that we get maximal benefit from this exceptional source of amino acids. Though it is not just what's in Body Science WPI that sets it aside from other products, it's also what isn't in it that counts. 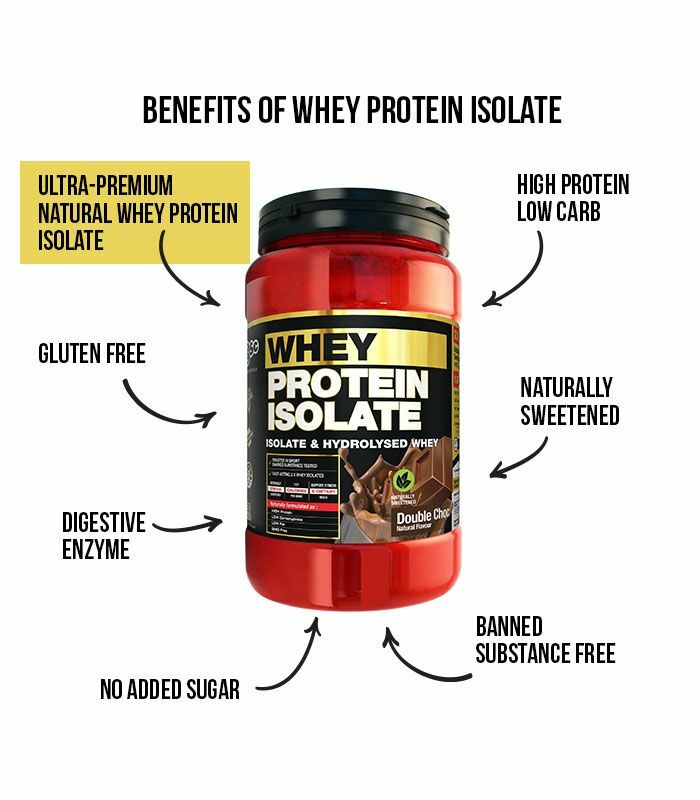 BSc Whey Protein Isolate is a 100% non-GMO and gluten-free product. It is also free from dyes, thickeners, gums and oils, has no fillers and contains absolutely zero artificial colours, flavours and sweeteners. You can drink your protein shakes in full knowledge that Body Science WPI is ideal for anyone looking to boost recovery, build lean muscle and assist with weight reduction programs. Professional athletes can be assured that BSc WPI is free from all banned substances. Each batch of Body Science WPI is tested in accordance with the World Anti-Doping Agency guidelines ensuring that there is no need for concern for competitive athletes or even elitist recreational trainers. 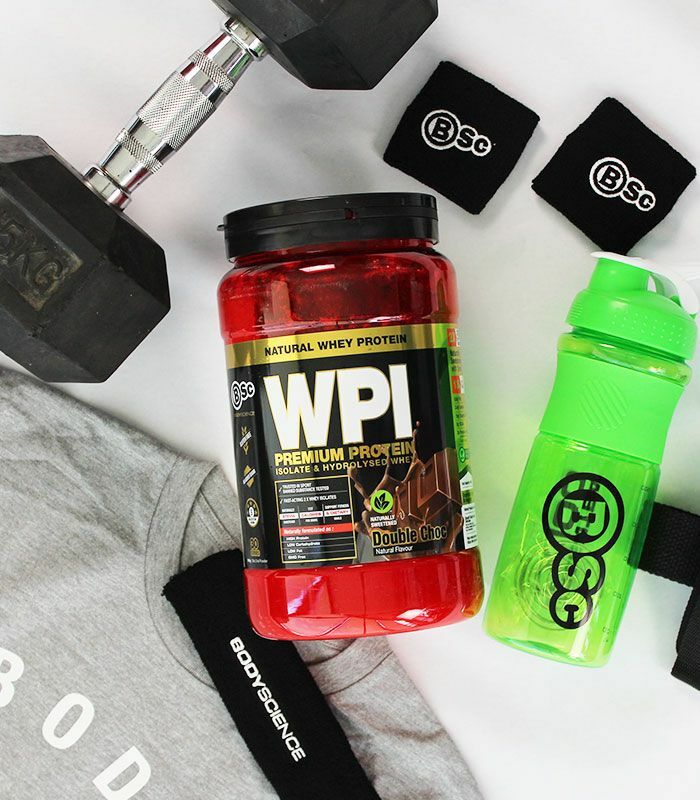 BODYSCIENCE WPI IS PERFECTLY BALANCED - 100% PURE. 100% CLEAN. 100% TESTED. 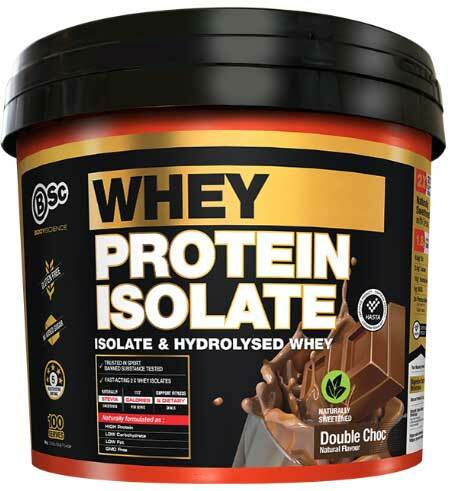 INGREDIENTS: BSc Proprietary Whey Protein Isolate Blend [Whey Protein Isolate, Hydrolysed Whey Protein Isolate, Emulsifier (Soy Lecithin)*], Cocoa (5%), Glycine, Natural Flavour, Natural Sweetener (Steviol Glycosides), Bromelain. Contains milk, Soybean and their products. 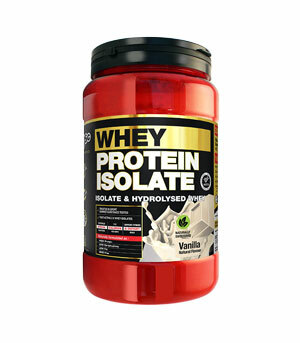 INGREDIENTS: BSc Proprietary Whey Protein Isolate Blend [Whey Protein Isolate, Hydrolysed Whey Protein Isolate, Emulsifier (Soy Lecithin)*], Glycine, Natural Flavours, Natural Sweetener (Steviol Glycosides), Bromelain. *A small amount of Lecithin is added during manufacturing to make WPI easy to mix. Lecithin is a natural plant derivative that helps to keep cell membranes pliable and functional. It is a rich source of phospholipids, including phosphatidycholine.